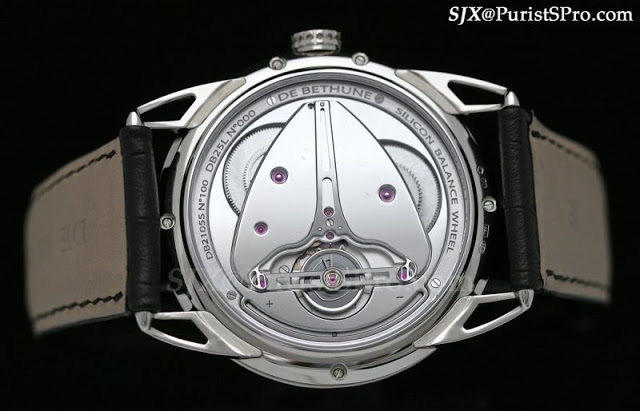 For Only Watch 2011 De Bethune has created a unique DB25. 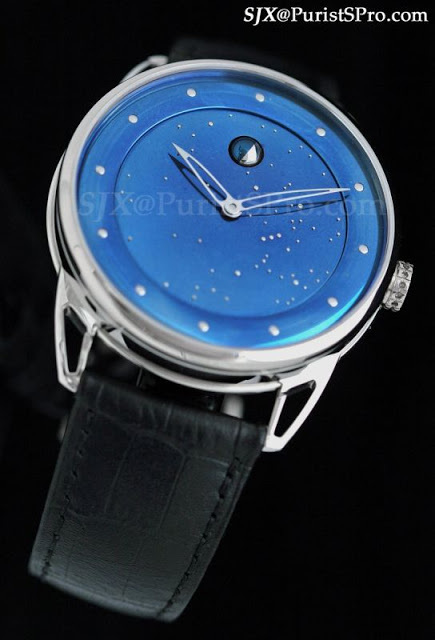 It is an outrageously shiny and blue vision of watchmaking inspired by the past, in the same vein as the De Bethune Dream Watch and DB25 T regulator tourbillon. This is a wandering hours watch displaying the hours and minutes at six o’clock on two sandblasted sterling silver discs, with Arabic numerals for the minutes and Romans for the hours. 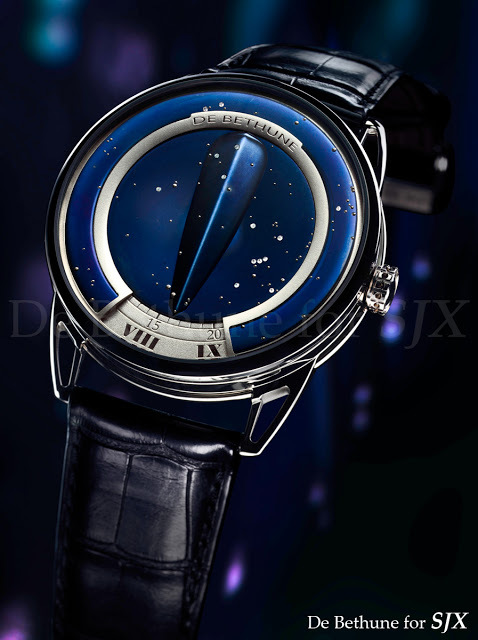 The blued titanium dial – concave in the middle and convex on the outer ring giving the impression of the sky – depicts the night sky of 8 January 1297, when François Grimaldi, disguised as a Franciscan monk, entered Monaco castle only to have his men follow and capture the fort. Set in the titanium dial are white gold or diamond stars, representing the 115 stars in the nocturnal sky on that particular night. 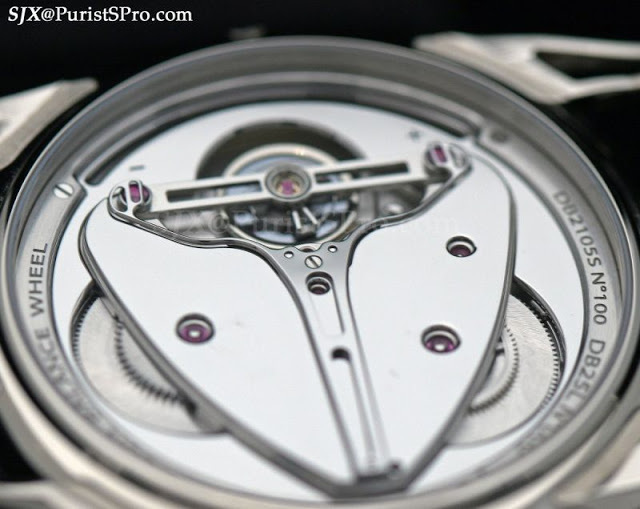 The reason for this motif is the Only Watch auction is held in Monaco in September each year, with proceeds going to research into children’s muscular dystrophy. 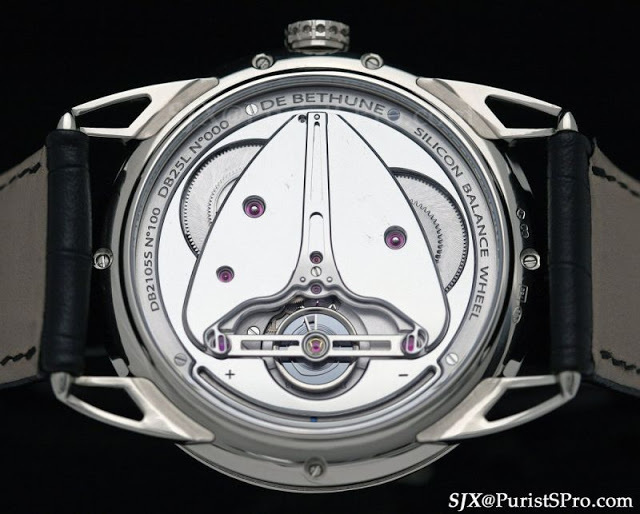 Inside the white gold case is the DB2105S movement with a speculaire finish on the bridges. Also known as black polishing, this is a mirror-like finish that is difficult to execute perfectly, because any flaw is immediately visible. 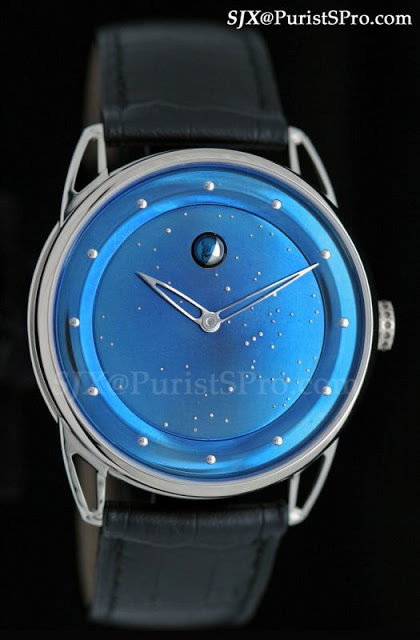 Also using the same movement is the De Bethune DB25 Moon Phase, which this unique piece is clearly derived from.